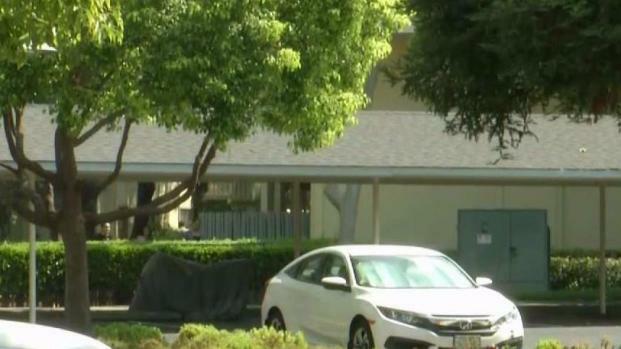 Police have located a guardian of a toddler who was found roaming alone, muddied and clad only in a diaper, in a San Jose complex early Wednesday morning. Rick Boone reports. After an hours-long search Wednesday, authorities located a guardian of a toddler who was found roaming alone, muddied and clad only in a diaper, in a San Jose apartment complex earlier in the morning. A couple found the 2-year-old boy near 4300 The Woods Drive, near Snell Avenue, and called police around 3:30 a.m. They gave the child a sweater to keep warm, according to a security guard, who said that the boy was calling in Spanish for his mother and father. Overall, though, he appeared calm and was able to talk to the guard and couple, police said. Responding officers took the toddler to a hospital for a medical evaluation. He was then turned over to Child Protective Services, and the police department's Family Violence Unit is investigating the case. Police were interviewing someone they identified as the boy's guardian Wednesday, but the boy's parents had yet to be located. Police have located a guardian of a toddler who was found roaming alone in a San Jose complex early Wednesday morning. Bob Redell reports. San Jose police said they received a call around 9:20 a.m. about a missing child. They didn't confirm, however, the guardian's relationship to the boy. It also remained unclear why it took the guardian so long to realize the boy was missing. Police said the guardian does not live at the Woods apartment complex, which means the child may have walked quite a ways from his house. The couple who found the boy were on their way to work during the overnight hours. They said when they found him, he appeared to be sick, breathing abnormally. "He was just dirty. His hands were black, his feet were black, his arms were dirty," said Brandon Austin. "You could tell ... he had to have been out here for a while." Austin's girlfriend, Amanda McGehee, said it appeared the boy wandered from a house in a neighborhood across the street from The Woods complex, which is accessed via Snell Avenue. Meanwhile, other neighbors were stunned. "I feel horrible," said Victoria Kirschner, a resident of the complex. "How could a 1- or 2-year-old child get out and the parents not know that the baby’s not with them?" Lily Tejera was speechless when she heard about the incident. NBC Bay Area's Rick Boone contributed to this report.